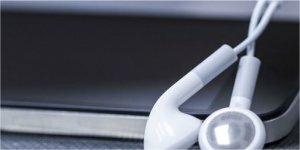 In this guide we will look at Apple’s iTunes and ways to recover your lost music library or to transfer it to a new computer easily. One of the most frequent questions around the Apple’s forum is how to recover the lost pc stored library. Apple’s iTunes is very good in creating a computer located music libraries and playlists and keeping the synchronised to your iPod or iPhone, and even for transferring the tracks from your computers library to your music player. However transferring in the other direction is very limited and is only allowed for those tracks that are purchased in the Apple’s iTunes Store. This is done to combat piracy and keep the music labels happy that are selling their content in the store. Realistically you do want to transfer your music back to your computer from your device for many various reasons. The iPod uses a database that is used for easier management of content stored on the iPod. This database is used by both iTunes and the music player itself to manage and display the content. The music itself is written to a hidden folder and the player stores all the information about the stored tracks in the database. The media files usually have their information written inside their header tags that can be read by various software, and iTunes uses this information to create the correct index in the database. There is additional information that is stored in the database like playlists, ratings, play counts and more. There are various utilities that can access the database and read information from it. The individual audio and video files are written on the iPod in a colder called Music which is located inside the iPod_Control folder. This base folder is not normally visible on the device. Inside the Music folder the files are stored randomly and often without proper naming as all the information is stored in the database or in the internal metadata of the music tracks themselves.